The team included Indian-origin scientist Vithal Tilvi, who said that the galaxy is forming stars tremendously, roughly about 300 Sun-like stars every year. WASHINGTON: A team of astronomers, including an Indian-origin scientist, has discovered the most distant galaxy in the universe ever found which is said to be 13 billion light years away from the Earth. "Because of its extremely large distance of 13 billion light years, we are seeing this galaxy as it was 13 billion years ago. In other words, we are exploring the universe when it was only 700 million years old -- the current age of the universe is about 13.7 billion years," Dr Vithal Tilvi , who is currently at the Texas A&M University and a co-author of the research paper, said. "This finding is a great deal in astronomy not only because it is the most distant galaxy ever found but also because it gives us clues about the young universe," Tilvi told PTI. Born in Goa and having attended Goa University, Tilvi has also worked at the National Institute of Oceanography, Dona Paula, and National Antarctic Research Center, Vasco. The results of the latest findings have been published in the most prestigious international journal 'the Nature'. This work was led by Dr Steve Finkelstein at University of Texas with many other astronomers including Dr Casey Papovich in the US. "While we are thrilled about this discovery, we were more surprised to find only a single galaxy at such large distances because we were expecting to find more. This is telling us something that the Universe was fundamentally different when it was young," Tilvi said. "Another surprise came to us when we discovered that this galaxy is forming stars tremendously, roughly about 300 Sun-like stars every year, compared to only about one Sun-like star produced in our own Milky Way galaxy . 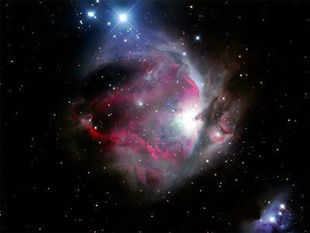 It is possible that when the Universe was young, galaxies were more active then they are now," he said. "We are very fortunate to be born now, because after a few billion years the size of the universe will be so large that the light from such galaxies would never reach us and thus we won't see these galaxies," he pointed out.